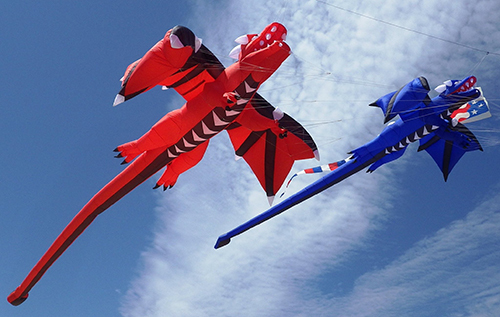 Looking for inflatable dragon kite I believe made in Europe that I saw on the web but lost the bookmark. It was similar in shape to the Peter Lynn dragon but not a copy. Had more detail along the back and the head was in my opinion better shaped. Any help is appreciated. Do you mean "Wyverex" by Rolf Zimmermann? I think he want to rolokites version . Rolokite dragon, thats it! Thank you for the help!